S.S. Shamrock pilothouse record, 1924-1925. Pilothouse record detailing the ports and canneries which the S.S. Shamrock stopped between 1924 November and 1925 July in Southcentral and Southeast Alaska. The record details the times and dates of the stops, as well as activities at the ports, such as ship repairs and loading fish. The weather is also recorded. Stops include Port Ashton, Cordova, Valdez, Ellamar, Yakutat, Seldovia, and Baranoff Cannery. M.S. Decorah pilothouse records, 1928-1930. The collection contains three pilothouse records of the M.S. Decorah which date between 1928 August and 1930 September. The records detail the times and dates of the stops, as well as activities at the ports, such as loading and unloading fish and ship repairs. The Decorah stopped at various ports in the Aleutians, Southcentral Alaska, and Southeast Alaska, including Unalaska, Port Ashton, Latouche Island, Anchorage, Seward, Seldovia, and Ketchikan. The Decorah also would make periodic trips to Seattle. The pilothouse records also document the weather conditions. Fannie and John Woodiel photographs; 1955-1966. 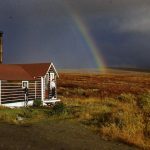 Photographs from two Alaskan schoolteachers who taught in many places in Alaska, including Nome and Ninilchik. HMC-1317: Eklutna Dam Removal Project photographs and video; 2016-2018. 6.94 GB. 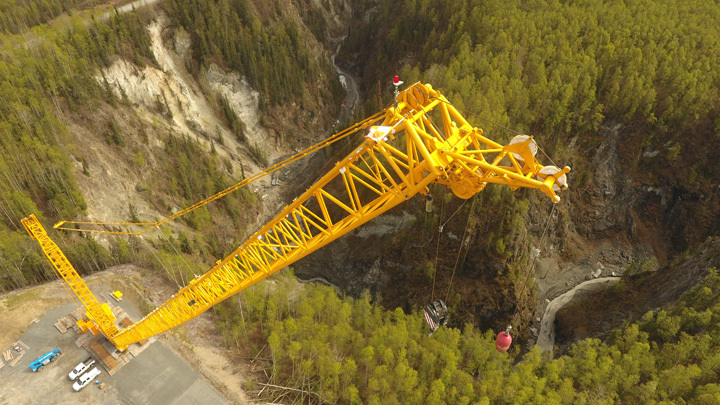 Crane near former site of Eklutna Dam. APU-0014: APU photographs; 1955-1980. 0.1 cubic foot addition. APU-0026: APU commencement programs; 1961-1970, 1991-2000. 0.01 cubic feet. APU-0027: APU baccalaureate service programs; 1961-1974, 1992-1998. 0.1 cubic feet. Fur Rendezvous dogsled races from the Randy Brandon photographs. Gwen was elected Chair-elect for the Alaska Library Association Special Libraries roundtable. Veronica has also been working on organizing our electronic records on our networked area storage. This has been a very time-consuming task–more than any of us had predicted. In commemoration of Women’s History Month, our podcast this month featured some letters and recollections about life in Alaska written by women. 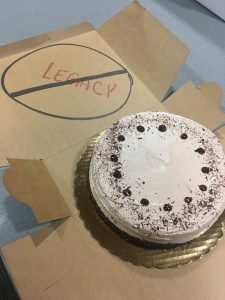 The post New in the Archives: March 2019 appeared first on Archives and Special Collections. September is always a season of change in the Archives with the start of the semester! It feels like this has been an intensive outreach month for us with several events that happened and even more that we’re preparing for. More details on that in a moment. Did you know? 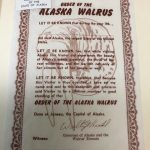 The Alaska’s Digital Archives has reached a milestone! 29 photographs from the Marion and Thomas Gregory papers. 60 photographs from the Francis J. Huber slides. Our additions to the Alaska’s Digital Archives will be going on hiatus for a month, possibly a little bit more. The website is moving to being hosted by another service provider and there’s some great things about that. First up, our annual budgets for licensing the software the supports the Digital Archives and for server administration will significantly decrease. That’s always good news! Secondly, we’ll be able to see some great functionality that we haven’t had before: like a mobile view of the site if you’re searching using your cell phone or a tablet. Fingers crossed that the move will go quickly and well. ANTH A620: Research Design. 4 students. ENGL A476: History of the English Language. 27 students. Well, we’re not quite sure how “notable” this is, but it charmed us no end. A photo of Spenard from the Mounteer papers is now wall-size and in the men’s bathroom at the Bear Tooth theatre. The original photo probably dates from between 1949 and 1952. The photo of the bathroom wall was courtesy of one of the Bear Tooth employees, no, we didn’t sneak in there to see it. Though we have an invitation to visit some morning before they open so we can go see it. 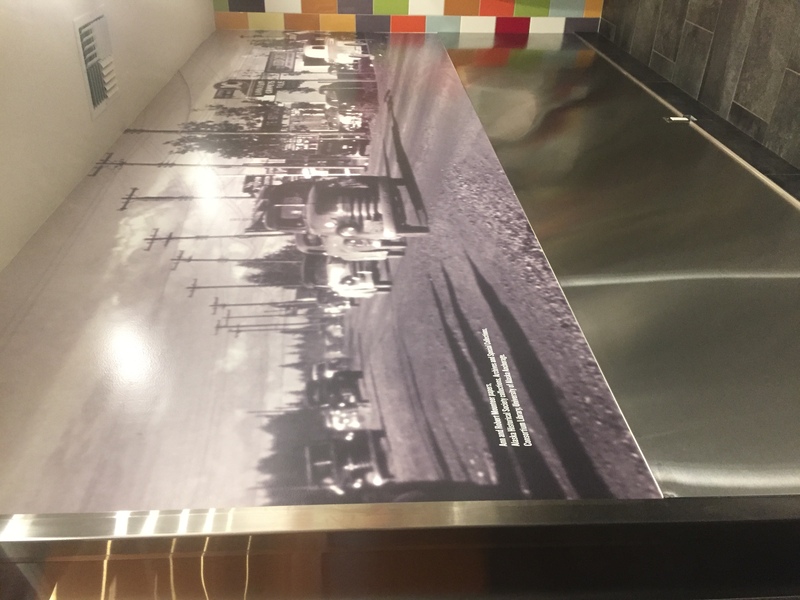 If you’d like to take a closer look at the photo and like us, aren’t allowed to go in the men’s room at the Bear Tooth without getting in a whole lot of trouble, we have it up on the Alaska’s Digital Archives, which is where they found it. Or you can come in and we’ll gladly pull the Mounteer collection for you to look through. Christine M. McClain papers; 1907-1992. 0.01 cubic foot and 79 MB addition, includes writings and photographs. Katharine Crittenden papers; 1978-2005. Research files and correspondence relating to Crittenden’s book, Get Mears! Wanda A. Wheeler slides; 1964. 0.01 cubic feet. Images that depict damage caused by the 1964 earthquake. Joanne Vivian Sedlock photographs; 1949. Aerial photographs of Anchorage. Walter Johnson papers; 1902-2008, bulk 1961-1978. 0.5 cubic foot addition. The post New in the Archives: September 2018 appeared first on Archives and Special Collections. When I took over as head of Archives and Special Collections in June of 2007, I had a lot of goals for the department. Most of those were user-focused and revolved around simplified access to collections. One of the things on my target list was our finding aids. 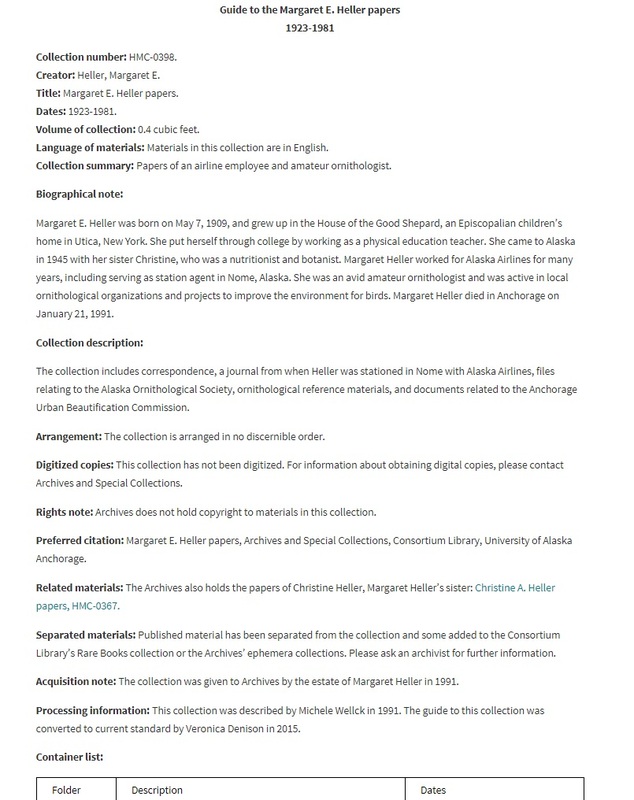 The original collection description for the Margaret Heller papers. Click to see a readable version. Our finding aids, while having the basics necessary to an archival guide, weren’t very navigable. Sections of the guide weren’t labeled, so people coming upon the guides in a web search wouldn’t know what the numbers on each line item in a container list meant. And it could vary: sometimes it was a box, sometimes it was a folder, sometimes it was an item. The guides were full of abbreviations that might not mean anything to a researcher and judging by our reference requests often didn’t: people didn’t know that cu. ft. was short for cubic foot and worse, that it was some sort of hint to them as to the size of the collection. (.2 cu. ft. = small, 123.4 cu. ft. = large collection, probably with 120 boxes of material or more). How about the elements that simply weren’t in those inventories: like who owned the copyright to the material in the collection? Or was any of the collection available online? What does that HMC-0398 thing mean anyhow? Add in some inconsistent numbering systems for the inventories such as one 18 box collection that had 16 boxes numbered 1, and I was done with that. One of the first things I did in the summer and fall of 2007 was to build a finding aid template and the guidelines for filling it in. I don’t know if you’ve noticed this about archival research, but unlike MARC records for library cataloging, there is no national or international format standard for archival description. There’s a lot of standards around archival description content that are nationally accepted like “use undated, not n.d.” and a creator name should follow “this construction” and a scope and content note should include “this type of information”, but there’s nothing that says “this piece of information shows up in this order in the finding aid.” So in building ours, I wanted to both meet the currently accepted national content standard of DACS (Describing Archives: a Content Standard) and to also use a format for the guides that would make them easily exportable into one of the national databases of archival holdings were we to eventually be able to join in on one of those. Logically the format standard for us to use was the one being promoted by the then Northwest Digital Archives (now ArchivesWest) so we took that, renamed and re-ordered a few things to meet our specific collection needs, and we started to use that for any new collection description we were doing. Which was great! Our new finding aids were looking terrific and even if they still presented some challenges for researchers at least we were able to provide much quicker reference assistance because we could navigate things faster. And no more than one Box 1 per collection! Plus if we were ever able to join up in one of those national databases of archival holdings, the sections of the finding aid were granular enough that a mass export to a different format would be more easily achieved. But we still had a problem. About 750 problems, actually. All those old finding aids that had been created prior to fall 2007? Were still in the same old format. Were still as non-navigable. Still had all those references to cu. ft. And nobody ever recognized that the HMC- reference was the call number for the collection. Not to mention all those unlabeled numbers elsewhere in the collection: were those folders? Items? 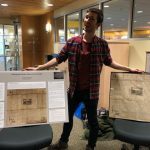 And how was the user supposed to know that 30 photographs from the collection had been digitized and placed on the Alaska’s Digital Archives? That’s a long way of getting to the point: which is that I hate legacy finding aids. They’re a constant drain on you when you’re doing reference, they’re a challenge to researchers, and though I’m not terribly obsessive about these things, having multiple formats for finding aids is just a messy way of doing business. And so in December of 2007, we embarked on a legacy finding aid conversion project. A bit too Pollyannish of me, I admit, I thought this would be a pretty short project. I knew that we’d have to massage a lot of the data in the existing guides to fit our new standard, but I didn’t count on a few other things. Like as we were going through one of these, we might spot serious errors in the guides. Things that weren’t described as they could be. Things that never should have been appraised as archival. Boxes that were half empty for no reason. (Did I mention we were also getting low on vault space?) Records arrangements that were far more complicated than they needed to be. Materials that were on the shelf but not reflected in the finding aids (more than a few boxes sitting there labeled “miscellaneous” or worse “moldy” or even worse “nitrate film.” Did I just say something about things that weren’t described as they could be?) Recent or not-so-recent additions to the collections that hadn’t been added to the finding aid. Plus we were getting more reference questions, more new collections, we wanted to keep adding materials to the Alaska’s Digital Archives, we wanted to put a dent in our very large undescribed backlog, and the very realistic fact that all of us could only do so many of these conversions before we wanted to go screaming into the vault. So the legacy project kept looming over us. We did a few concentrated bursts of work on it. One time I made the crew a deal: get 60 conversions done in one week and I’d make baklava for everybody. Okay, so we chose the simplest of the conversions and yes, I did my equal share, but we even went over that number. Who knew homemade baklava was such a motivator? But this conversion project really felt like the project that would never die. 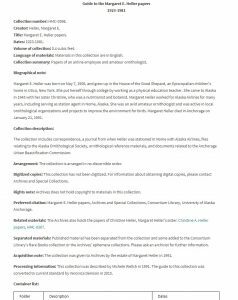 The updated version of the Margaret Heller papers inventory. Note how all the sections of it have labels! Click to see a more readable version. Only it did die. Yesterday. As of today, we have no legacy finding aids. Are there more finding aid changes to come? No doubt. We’ve already amended the template a few times since late 2007, like adding a field about access to born-digital materials for the collections for which it is relevant, and we’re seeing more and more of those these days. Moving it into a database format that would allow for easier searching of specific fields would be nice. But now, right now, upgrades and migrations just became a whole lot simpler. Thanks to all the student workers, volunteers, and interns who chipped away at a section of this huge project, and to all the archivists who put even bigger holes in it: Nicole Jackelen, Kathy Bouska, Mariecris Gatlabayan, Megan Friedel, Veronica Denison, Jay Sylvestre, and Gwen Higgins. Look what we did! You should be proud. The post Finishing a decade-long project appeared first on Archives and Special Collections. 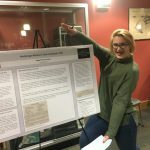 A guest post from our summer intern: Anna Leinweber. Thanks Anna! As the summer intern visiting Alaska for the first time, I expected to learn many things about the state and its history while here. My expectations were that I would learn a great deal about Alaskan life and culture; things involving the outdoors and nature that is unfamiliar to me. What I did not expect was to work with papers from such a unique Supreme Court case as the Zobels’. As a person born and raised in Louisiana, I have a special appreciation for unique state things. Due to things such as Huey Long legends, and the fact that Louisiana attorneys learn Napoleonic Civil Code instead of English Common Law like the other 49 states, I always assumed I knew some fun facts about peculiar legality. Again, Alaska serves to show me more! After all, the Permanent Fund Dividend yearly allocation of money to all state residents is truly different from the other 49. I’ve left the realm of Parishes and landed in the world of Boroughs. In this world of Boroughs, the Zobels, Penny and Ron, also found themselves arriving at an interesting time, especially considering they were both lawyers. The late 1970s, the Trans-Alaska pipeline system, and Governor Jay Hammond spawned the idea of the Permanent Fund Dividend, in which the state would distribute money on a yearly basis to each resident. Wonderful, right? Only there was a hitch. Governor Hammond’s original PFD plan was to pay residents different amounts based on the number of years they had lived in Alaska since statehood. Enter Zobels. Penny and Ron quickly noted the unconstitutionality of such actions and filed suit, claiming Governor Hammond’s plan stood in contrast to the 14th Amendment. The case made its way through the courts of Alaska, and finally to the United States Supreme Court, which ruled in favor of the Zobels. Henceforth, all Alaskan residents can annually claim a PFD check for an equal sum. Just like Huey Long’s assassination stands in equal lore as his “Share Our Wealth” platform, the Zobels’ reputation and image amongst their fellow Alaskans rivals their case in the highest court in the land. Our collection of Zobel papers is not limited to legal research and case documents. 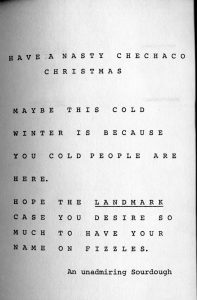 There is letter upon letter from Alaskans of all ages criticizing the Zobels and denouncing them as “Cheechakos,” or short-term residents only seeking the benefit of Alaskan boom times. Many newspaper clippings from the Anchorage Times and Anchorage Daily News show the couple in a similar light. 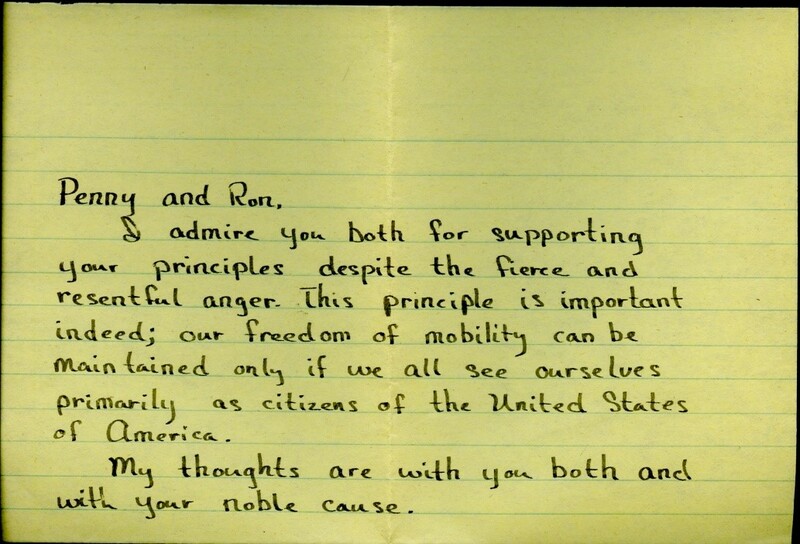 Thankfully, there is hope left yet, and the collection also contains letters of support and encouragement. The case was even used as an educational piece for a National Geographic project highlighting the Judicial Branch of the U.S. government, which the archives also has within the collection. While Alaskans might have been divided on the dividend in the early years of the court battle, both the Zobels and the state were able to move forward. Ron served the state as Assistant Attorney General for a number of years, and Penny remained in private practice. The residents of Alaska can apply for their PFD check and enjoy their state money each fall, which continues to help alleviate the higher standard of living here. The Zobels, although largely unknown to newer Alaskans, exemplify the spirit of this distinctive state in their willingness to separate from the norm. Through my time here in Alaska, and especially through processing the Zobel papers, I’ve learned much about striking out to defy the status quo. The Zobel papers are a testament to the tiresome, but worthwhile work of daring to be different. As I prepare to leave Alaska, I have a renewed appreciation for taking up a cause for what one believes in and seeing it through in the face of great opposition. All in all, the Zobel collection has much to teach us, not just about legal battles and the PFD, but about what it means to champion something that no one has before. 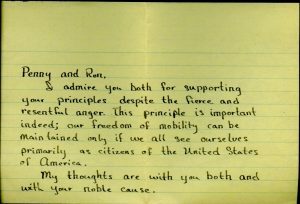 The post Not Found in the Other 49: The Ron and Penny Zobel Papers appeared first on Archives and Special Collections. Sara Rollins, a local high school student, is volunteering with us this summer for 2-3 days each week. She’s doing a wide variety of tasks including creating an exhibit from our Rare Books collection, selecting images for our social media outlets, and lots of scanning of photographs so we can put them up on the Alaska’s Digital Archives. 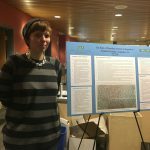 Anna Leinweber, a grad student in the library program at Louisiana State University, decided to visit Alaska for her grad internship. 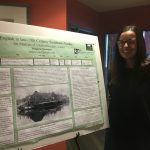 She’s done a lot of cataloging of images for the Alaska’s Digital Archives (see below), some collection description, and spent some time working with some of our reference questions too. 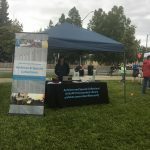 Our booth at PrideFest. We like our new banner and tablecloth. Social media: We posted 29 tweets to Twitter: mostly photographs relating to #GreatOutdoorsMonth. We posted 7 times to Facebook and 4 times to Instagram (note to archivists: we need to do more Instagram!). Are you following us on those sites? Twitter: @CLArchives, Facebook: @ConsortiumLibraryArchives, Instagram: clarchives (we promise we’ll do better on Instagram). Our volunteer Sara curated an exhibit on exploration narratives from our Rare Books holdings. That exhibit can be viewed in the Great Room of the Consortium Library. We posted the third installment in our podcast series: this one a conversation between Gwen, Veronica, and Arlene on tourism in Alaska and how it is reflected in our collections. We also recorded two more, including a bonus episode coming in mid-July in which Arlene talks with one of our visiting researchers about media and Alaska and archives. Our next regularly scheduled episode will be posted later in July and in that one, Veronica talks with our colleagues at the Alaska Moving Image Preservation Association about what it is they do. And in a very out-of-the-ordinary moment, C-SPAN‘s Cities Tour visited us on the 26th and interviewed Arlene about our holdings relating to the 1964 Alaska earthquake. They tell us we might just see that interview airing the weekend of July 21-22. 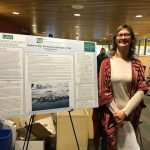 Gwen was awarded an Interlibrary Cooperation Grant from the Alaska State Library and the Institute for Museum and Library Services. 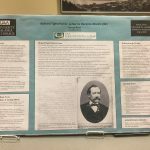 This grant will allow us to work with other archives to create some cooperative guides to collections across Alaska and get them posted on SLED (State Library Electronic Doorway). We did one a few years ago on where to find the records/papers of former governors of Alaska. 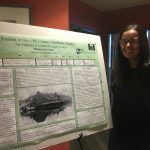 We also finished one in June on where to find archival materials in the US and Canada (primarily Alaska & Yukon Territory) on the CANOL pipeline which was funded by UAA’s Elizabeth Tower Endowment for Canadian Studies (thanks to Veronica for applying for and getting that grant). The CANOL guide should be going live later in July. 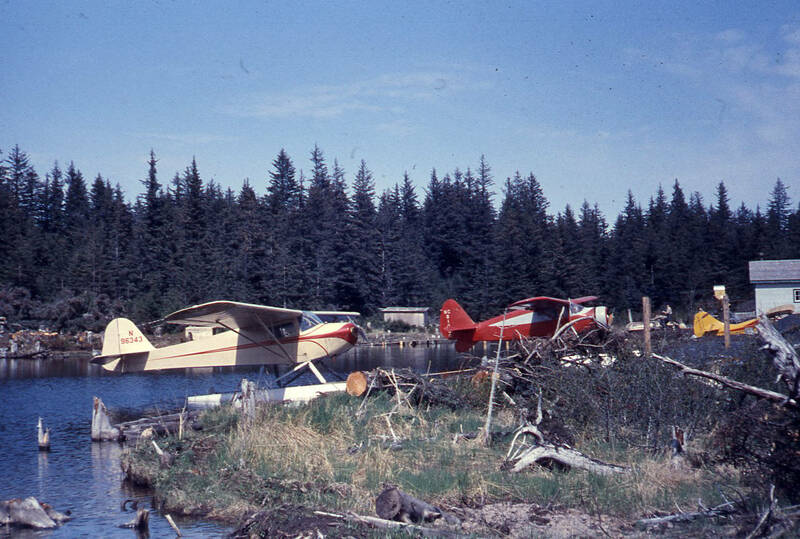 The work to transfer the historic UAA images from picturingUAA to the Alaska’s Digital Archives continued. 243 images were moved over which included additional metadata and editing some of the information accompanying the photographs. 27 images from the W. D. Lacabanne photographs. Most of the images relate to the canneries at Nushagak in 1931. Anna the Intern did these. 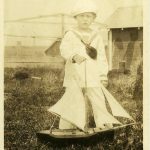 22 images from McGlashan and Monsen family photographs. These mostly relate to Naknek from 1910-1950. 44 images from Emma Cameron slides. Emma Cameron was a school teacher in Nome in the late 1940s, early 1950s. 40 images from the C. H. McLeod photograph albums. Anna the Intern also did these. 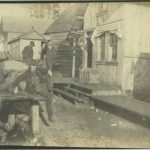 The photos date from about 1898-1903 and mostly relate to southeast Alaska. You might recognize some of these from the above Digital Archives additions. HMC-0670: Washington D. Lacabanne papers; 1931. 0.2 cubic foot addition of photographs. HMC-0989: Atwood family papers; 1906-2003. 1.8 cubic foot addition. HMC-1290: John Cloe papers; 1943-2016. Research materials related to John’s book Mission to the Kurils. HMC-1291: Jukichi (Jack) Nishida photographs; circa 1913-1981. Photographs taken by a man from Japan who worked for a mining company in Ellamar. HMC-1292-AHS: C. H. McLeod photographs; undated, 1898-1903. 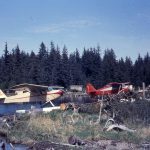 Photographs of southeastern Alaska. UAA-0076: Enrollment Management slides; 1977-1997. Photographs of campus life at UAA. HMC-0232: Betty Jo and Bruce Staser family papers; 1946-1985. 0.4 cubic feet. 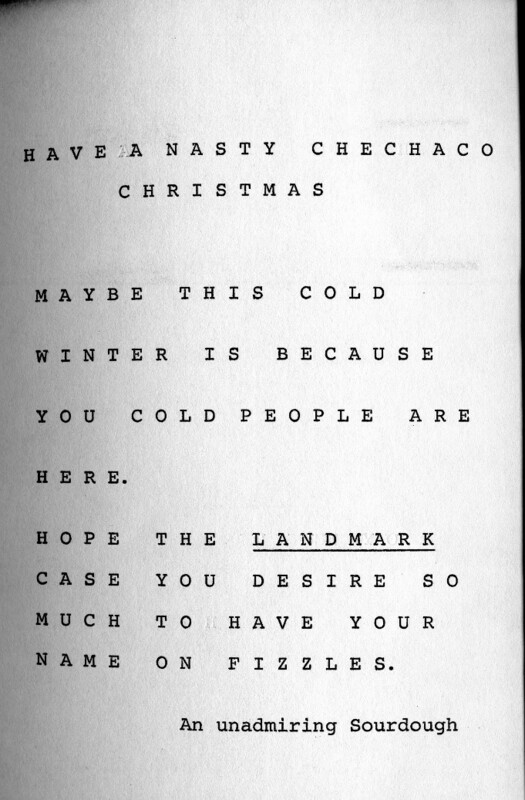 Documents from a military serviceman and employee of the Municipality of Anchorage. HMC-0233: Harry Staser family papers; 1891-1977. 0.2 cubic feet. 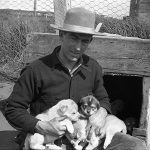 Family papers of an Alaskan miner and deputy marshal. HMC-0415: Society for Technical Communication. 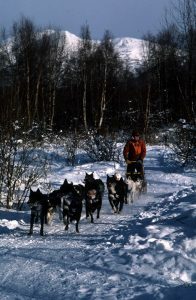 Alaska Chapter records; 1981-1991. 1.8 cubic feet. Records of an organization for technical writers. We received five new collections or additions to collections. Veronica paid a visit to the Inupiat Heritage Center in Utqiaġvik to bring them a portion of a collection that was more appropriate to their holdings than ours. 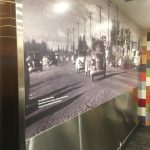 The post New in the Archives: June 2018 appeared first on Archives and Special Collections. The post New in the Archives: March 2018 appeared first on Archives and Special Collections.